This name uses Spanish naming customs: the first or paternal family name is Gómez and the second or maternal family name is Bolaños. Roberto Gómez Bolaños (21 February 1929 – 28 November 2014), more commonly known by his stage name Chespirito, or "Little Shakespeare" was a Mexican screenwriter, actor, comedian, film director, television director, playwright, songwriter, and author. He is widely regarded as the most important Spanish-language humorist of all time. He was internationally known for writing, directing, and starring in the Chespirito (1970-1973, 1980-1995), El Chavo del Ocho (1973-1980), and El Chapulín Colorado (1973-1979) television series. The character of El Chavo is one of the most iconic in the history of Latin American television, and El Chavo del Ocho continues to be immensely popular, with daily worldwide viewership averaging 91 million viewers per episode. He is also a nephew of late president Gustavo Díaz Ordaz since Chespirito's mother was the president's cousin. Roberto Gómez Bolaños was born in Mexico City. His father, Francisco Gómez Linares (c. 1892 – 7 September 1935), was a painter and a cartoonist from the city of Guanajuato, Guanajuato, who died of a stroke at the age of 43. His mother, Elsa Bolaños Cacho (4 April 1902 – 22 December 1968), was a bilingual secretary (fluent in both Spanish and English) from the city of Oaxaca, the youngest child of Ramón Bolaños Cacho, a military doctor, and his Zacatecas-born wife, María Aguilar. Mexican President Gustavo Díaz Ordaz Bolaños was his first cousin once removed. He had an older brother, Francisco (1926–2010), a younger brother, Horacio Gómez Bolaños, who would portray the character Godínez in El Chavo del Ocho, and an even older half brother, product of one of his father's liaisons with another woman. Before becoming an actor, Gómez was an amateur boxer. He studied engineering at the National Autonomous University of Mexico (UNAM), but did not graduate, as he admitted to having a misconception of what engineering actually did. He wrote a number of plays, and contributed dialogue for scripts of films and television shows in Mexico, as well as some character acting work before he became famous. His stage name, "Chespirito", was given to him by a producer during Gómez Bolaños' first years as a writer, and was concocted from the Spanish phonetic pronunciation of William Shakespeare — "Chespir" — combined with "ito," a diminutive commonly used in Spanish, ergo Shakespearito, meaning "small Shakespeare". Chespirito was discovered as an actor while he was waiting in line to apply for a job as a writer, and soon he began writing and starring in his children's comedy shows. Chespirito's first show was Los Supergenios de la Mesa Cuadrada, a sketch comedy show that premiered in 1968; the show also starred Ramón Valdés, María Antonieta de las Nieves and Rubén Aguirre. Los Supergenios was later renamed Chespirito y la Mesa Cuadrada, and later Chespirito; characters like El Chavo, El Chapulín and Dr. Chapatín were introduced in this show (1972, 1970 and 1968 respectively). His best known roles were in the shows El Chavo del Ocho and El Chapulín Colorado. Both series premiered in 1973, and were based on sketches of the same name from Los Supergenios. The shows were produced by Mexican TV network Televisa, and aired in 124 countries. Other shows produced by and starring Chespirito were the short-lived La Chicharra from 1979, and a second version of Chespirito from 1980–1995. 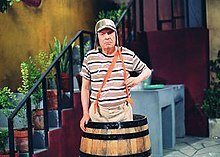 In El Chavo, Chespirito played an 8-year-old boy who often took refuge inside a wooden rain barrel in a Mexican neighborhood, and in El Chapulín Colorado he played a good-hearted superhero who gets involved in humorous situations. The Simpsons creator Matt Groening has said that he created the Bumblebee Man character after watching El Chapulín Colorado in a motel on the United States–Mexico border. El Chavo and El Chapulín Colorado have become cultural icons all over Latin America and the United States, and have also aired in many countries worldwide. Roberto Gomez Bolanos was also noted as a composer. He started writing music as a hobby, and most of his early musical work was related to his comedy work, particularly featured in occasional Chapulín Colorado or Chavo del Ocho special episodes. Later works include the theme songs for various Mexican movies and telenovelas, such as Alguna Vez Tendremos Alas and La Dueña. A comedy song by Chespirito, "Churi Churi Fun Flais", was slightly referenced by Puerto Rican rap duo Calle 13 in a pairing with fellow rapper Voltio, on their song "Chulin Culin Chunfly" (which used the made-up word "Culin", a reference to the female derriere, in substitution of the second "C") is also the creator of the theater comedy Once y Doce (Eleven and Twelve), the most successful theater comedy in Mexican history; it is still played occasionally. Los Supergenios de la Mesa Cuadrada (1968–1973), renamed Chespirito y la Mesa Cuadrada in 1970, and simply Chespirito in 1971. El Ciudadano Gómez (1968–1969; 1973; 1994–1995), a parody of the Citizen Kane. Dr. Chapatín (1968–1979; 1980–1995), one of the presenters of Los Supergenios, also starred in sketches in the show, also appeared in the El Chapulín Colorado half-hour show of 1973–1979. He represents an old doctor that constantly has fights and confusions due to his old age and hitting the people with a paper bag whose contents were never revealed in-sketch. 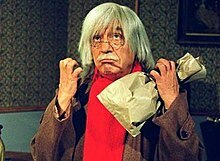 In an interview, Chespirito revealed that Dr. Chapatín carried in his bag all the bad feelings of the people, that is why it hurts a lot. Dr. Chapatín's character did a small cameo in the movies "El Chanfle", "El Chanfle 2","Don Ratón y Don Ratero" and "El Charrito". Chespirito (character) (1968–1975; 1980–1986; 1991–1992; 1994–1995), occasionally starred sketches of the Los Supergenios as a "character". El Chapulín Colorado (1970–1973; 1973–1979; 1980–1993), second most successful character of Bolaños; became a weekly half-hour show in 1973. A naive but brave superhero that always tries to help the people in problems. Los Chifladitos (1970–1972; 1980–1995), starred alongside Rubén Aguirre, one of the main sketches of the Los Supergenios until Aguirre left the show. Chespirito did Chaparron Bonaparte and Aguirre, Lucas Tañeda, as a pair of demented characters that ran in several confusions by the use of puns and the unexpected convulsions of Chaparron called "Chiripiorcas". Los Caquitos (1970–1975; 1980–1995) became the third most successful creation of Bolaños, sketches were created until 1975. Originally the pair was Chespirito as Chómpiras and Ramón Valdés as Peterete. In the sketches of the 80s Chespirito show, Edgar Vivar took the place of Valdés, playing a new character named El Botija, while Florinda Meza got a new character for the sketches: La Chimoltrufia, Botija's wife. It became Chespirito's main act in the last years of his program due to being too old to perform his other characters. Los Chiripiojos (1972), is the family La Chimoltrufia. El Chavo del Ocho (1971–1973; 1973–1980; 1980–1992), created as immediate successor of Los Chifladitos; become a weekly half-hour show in 1973. Is about a poor kid that lives in a small neighborhood with other families that shares comic situations. It's Chespirito's most successful character. La Chicharra (1979–1982), half-hour show that replaced El Chapulín Colorado in 1979. He tried to create something new with a reporter in a newspaper that happens to take the wrong news in the wrong place. 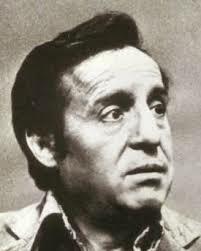 The show's lead character, Vicente Chambon, originally appeared as part of Chespirito in its early days. Don Calavera (1994–1995), the last character created by Chespirito, appears only in the 1980–1995 version of the Chespirito show. On 19 November 2004, after 27 years together, he married actress and longtime companion Florinda Meza, who starred as Doña Florinda in El Chavo. After show production was stopped for El Chavo and El Chapulín, both toured Mexico and the rest of Latin America and the United States with different plays, sometimes playing the characters that made them famous. In 2003, Chespirito and Florinda Meza received the keys to the city of Cicero, Illinois. During Mexico's presidential campaigns of 2000 and 2006 he openly supported the National Action Party (PAN) by appearing in TV commercials and urging people to vote for the party's candidates: Vicente Fox and Felipe Calderón. For the 2012 race, he made public that he would vote for the PAN candidate, Josefina Vázquez Mota, but did not appear in a commercial. In 2007, he joined a campaign led by Catholics and conservatives against the legalization of abortion in Mexico City. He shared that while pregnant with him, his mother suffered an accident and the doctor advised her to get an abortion, she refused. He also wrote the books El Diario de El Chavo del Ocho ("Diary From the Kid from Number 8"), ...Y También Poemas ("...And Poems Too") and Sin Querer Queriendo: Memorias ("Accidentally on Purpose: Memoirs"). In 2009, he was also honored by the Colombian TV-channel RCN in which he received the keys of the municipality of Soacha; more than 20,000 people attended the homage. On 12 November 2009, he was admitted to a Mexico City hospital due to prostate complications, which required a simple surgery to treat. He was released from treatment the following day. On 29 February 2012, a celebration of Chespirito's life and work was held at the Auditorio Nacional. The special, titled América celebra a Chespirito, was a multinational tribute that gathered a diverse group of actors, singers and fans from 17 nations. They included, among others: Armando Manzanero, Thalía, Ximena Navarrete, Marco Antonio Regil, Juan Gabriel, Diego Verdaguer, Gian Marco, Pandora, Reik and OV7. Chespirito's ill health was apparent, he was in a wheelchair and required oxygen tanks, and could not stay the entire program. Nonetheless, he expressed great emotion and gratitude for the tribute. The special was broadcast across the 17 participating nations the following 11 March. Over Twitter, Chespirito denounced the actions of the Yo Soy 132 movement after the takeover of Televisa Chapultepec following the 2012 election. In 2012, Chespirito was honored by his friends and former cast members, putting an end to many rumors that the comedian was dying. Even so, former colleagues such as Edgar Vivar expressed their concern publicly for Chespirito's poor health. Two themes from Jean-Jacques Perrey, "The Elephant Never Forgets" and "Baroque Hoedown" were used as the main themes for El Chavo del Ocho and El Chapulin Colorado. He and Mexican multimedia conglomerate Televisa were sued by the composers in 2009. The case was settled in 2010. On 28 November 2014, Chespirito died from heart failure as a complication of Parkinson's disease at the age of 85, in Cancún, Quintana Roo, Mexico. Many Mexican celebrities and Chespirito's former co-stars took to Twitter to express their feelings and they sent their condolences to Chespirito's widow and family. Such celebrities and former co-stars included George Lopez, Perez Hilton, Eugenio Derbez, Carlos Villagran, Edgar Vivar, Ruben Aguirre and Maria Antonieta de las Nieves. Chespirito is widely regarded as one of the most renowned Spanish-language comedians of the 20th century. On 1 December 2014, he was buried at the Panteón Francés, in Mexico City, following a private funeral on Saturday and a public one held on Sunday at the Aztec Stadium, attended by about 40,000 fans. No one is able to visit his tomb since his widow wife does not authorize fans of his to visit it. A private security guard is present there along with a security camera at all times. Chespirito has been described as one of the most recognized Mexican comedians of the 20th century as well as being well known and honored in all of Latin America. He has been honored for his creative writing, characters, comedic pick-up lines, and for his clean humor style. His television shows were broadcast throughout the world and have been translated into over 50 different languages. His TV shows have been made into cartoons since 2006 (El Chavo Animado with some other Chespirito characters appearing in the show). The animated El Chavo show has been translated into many other languages as well as English, Portuguese and French. An animated TV show based on another famous Chespirito character, El Chapulin Colorado, was announced in 2015. It aired the first episode online in April 13. ^ a b c Lopez, Elias E. (28 November 2014). "Roberto Gómez Bolaños, Mexico's Comedic Artist 'Chespirito,' Dies at 85". New York Times. ^ "Despiden a Chespirito en Panteón Francés de La Piedad". El Universal. Retrieved 2 December 2014. ^ Varillas, Adriana (28 November 2014). "Muere Roberto Gómez Bolaños "Chespirito"". El Universal. Retrieved 28 November 2014. ^ Mora, Carl J. (1989). Mexican cinema: reflections of a society, 1896–1980. University of California Press. p. 162. ISBN 9780520043046. ^ "Roberto Gomez Bolaños: Comedian who changed comedy in Latin America with his television character 'El Chavo del Ocho'". The Independent. 3 December 2014. Retrieved 23 December 2014. ^ "Titan of Latin American Comedy, Mexico's Beloved 'Chespirito' Dead at 85". NBC News. 28 November 2014. Retrieved 23 December 2014. ^ "Meet El Chavo, The World's Most Famous (And Richest) Orphan". Forbes. Retrieved 29 November 2014. ^ "El presidente que era tío de Chespirito". 28 November 2014. ^ Gómez Bolaños 2007, p. 14. ^ Gómez Bolaños 2007, p. 15. ^ Bolaños, Roberto Gómez (31 August 2007). "Sin querer queriendo". Penguin Random House Grupo Editorial México – via Google Books. ^ "Falleció Roberto Gómez Bolaños "Chespirito" a los 85 años". La Jornada (in Spanish). 28 November 2014. Archived from the original on 1 December 2014. Retrieved 28 November 2014. ^ Benedetti, Ana Maria (28 November 2014). "10 Things You Didn't Know About 'El Chavo Del Ocho'". =The Huffington Post. Retrieved 28 November 2014. ^ "Thousands of Chespirito fans gather in Mexican stadium for heartfelt tribute". Fox News Latino. Retrieved 4 December 2014. ^ "'Chespirito' y el cine" (in Spanish). Televisa. 28 November 2014. Retrieved 28 November 2014. ^ "El entrañable 'Doctor Chapatín'" (in Spanish). Televisa. 29 November 2014. Retrieved 29 November 2014. ^ "Las 12 cosas poco conocidas de Chespirito y sus programas" (in Spanish). CNN. Turner Broadcasting System. 29 November 2014. Retrieved 29 November 2014. ^ Bautista, Eduardo (29 November 2014). "Chespirito, el hombre que hizo reír a América Latina". =El Financiero (in Spanish). Retrieved 29 November 2014. ^ Aguirre, Francisco (29 November 2014). "Más allá del Chavo: Los cinco shows de Chespirito que tal vez nunca conociste" (in Spanish). La Tercera. Retrieved 29 November 2014. ^ Nájar, Alberto (28 November 2014). "Adiós a Chespirito, una vida "sin querer queriendo"" (in Spanish). BBC Mundo. Retrieved 28 November 2014. ^ Duque Cardozo, Mario Alberto (28 November 2014). "El Chapulín, el héroe inolvidable". El Colombiano (in Spanish). Retrieved 28 November 2014. ^ "El Chavo del ocho, icono de la cultura de AL, cumplió 40 años". La Jornada (in Spanish). AFP. 22 June 2011. Retrieved 28 November 2014. ^ "Murió el célebre comediante mexicano '". Deutsche Welle (in Spanish). 29 November 2014. Retrieved 29 November 2014. ^ a b c "5 programas de Chespirito que no fueron tan exitosos como 'El Chavo'" (in Spanish). Publimetro. 29 November 2014. Retrieved 29 November 2014. ^ Ávila, Carlos (29 November 2014). "Chaparrón Bonaparte, personaje clave de los Chifladitos" (in Spanish). Televisa. Retrieved 29 November 2014. ^ "Moda con inspiración en los personajes de "Chespirito"" (in Spanish). Terra Networks. 29 November 2014. Retrieved 29 November 2014. ^ ""El Chavo del Ocho" festejó 27 años de amor con "Doña Florinda"" (in Spanish). El Universo. EFE México. 20 November 2004. Retrieved 28 November 2014. ^ "Se recupera"Chespirito" tras una neumonía" (in Spanish). La Crónica de Hoy. 8 February 2007. Retrieved 28 November 2014. ^ a b c d e "A Gómez Bolaños le gustaba meterse en la política" (in Spanish). Milenio. 28 November 2014. Retrieved 28 November 2014. ^ "Operan de la próstata a Chespirito" (in Spanish). Diario Libre. 12 November 2009. Retrieved 28 November 2014. ^ a b c d e "América celebra a Chespirito". El Universo. Retrieved 29 November 2014. ^ a b c d e "Roberto Gómez Bolaños abandona su homenaje por complicaciones de salud". CNN Mexico. Archived from the original on 30 November 2014. Retrieved 29 November 2014. ^ "New Complaints". Courthouse News Service. 9 September 2009. Archived from the original on 23 September 2016. Retrieved 20 January 2016. ^ "Jean-Jacques Perrey et al v. Televisa S.A. de C.V. et al, No. 2:2009cv06508 - Document 43 (C.D. Cal. 2009)". Justia Law. Retrieved 20 January 2016. ^ Tinoco, Armando. "Roberto Gómez Bolaños 'Chespirito' Dies: Mexican Legend Dead At 85 From Heart Failure". Latin Times. ^ "Murió Roberto Gómez Bolaños, 'Chespirito'". Noticieros Televisa. ^ "'Chespirito,' beloved Mexican comedian who made a generation laugh, dead at 85". Fox News. 30 November 2014. Retrieved 30 November 2014. ^ a b "Roberto Bolaños será enterrado nesta segunda na Cidade do México". Globo. Retrieved 2 December 2014. ^ a b c d e f g h i j k l m n o p q "Las películas de Chespirito" (in Spanish). Univision. 19 October 2011. Retrieved 28 November 2014. ^ a b c d e f g h i j k l "Chespirito, un enamorado del fútbol y del América". The Huffington Post. 28 November 2014. Retrieved 28 November 2014. Gómez Bolaños, Roberto (2007). Sin querer queriendo. Penguin Random House Grupo Editorial México. ISBN 9786071110565. Wikimedia Commons has media related to Chespirito.